This project came about quickly after the 3 September 2016, Mw 5.8, Pawnee, Oklahoma, earthquake. 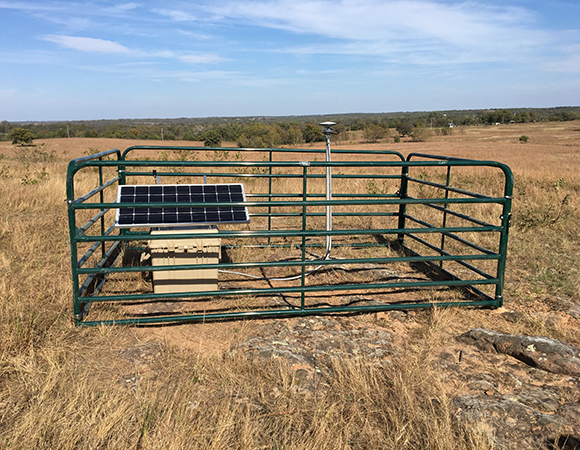 It is collaboration between the University of Memphis, University of Oklahoma (OU), and Oklahoma Geological Survey (OGS). 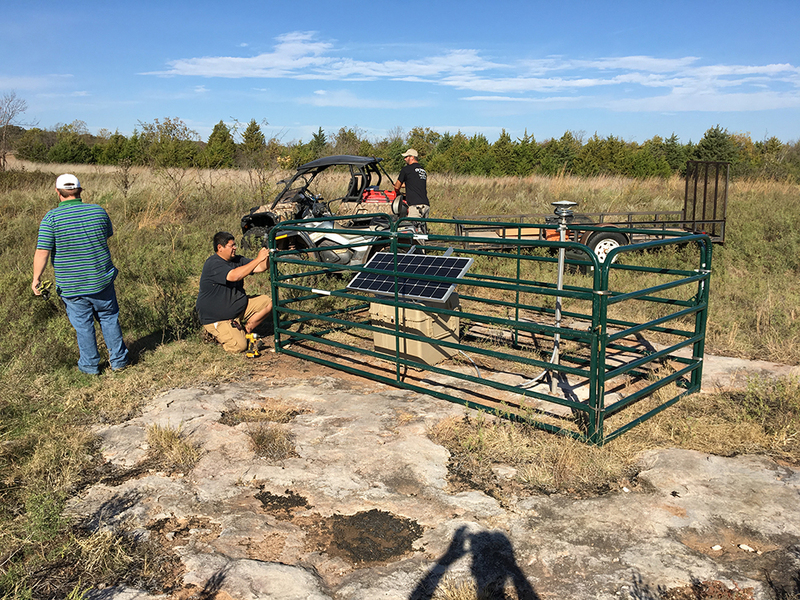 The project deployed eight GPS stations around the causative Sooner Lake fault, in order to measure the years-long relaxation of the crust (postseismic deformation) after the September earthquake. Site selection and landowner permission was undertaken in late September by investigators from the three institutions above. Sites were selected based on post-earthquake satellite data from JPL and Cornell that showed earthquake induced horizontal and vertical deformation. Stations were placed in areas of the greatest observed and expected vertical deformation as well as at horizontal intervals from the Sooner Lake fault in order to measure horizontal relaxation on both sides of the fault. One station was placed far enough away as to be outside the expected zone of deformation to serve as reference site for deformation along the fault. 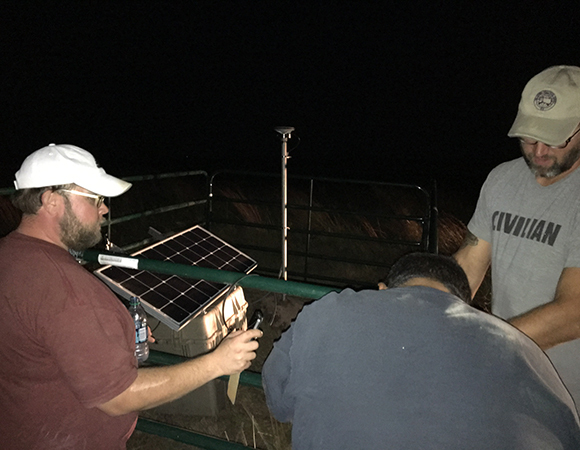 Site installation was completed over three days ending on November 2nd by UNAVCO with assistance from investigators at OU and OGS. Seven rock and one dirt monuments were installed. It is the goal of the OU and OGS investigators that the Pawnee deployment will help form part of a larger GPS deployment throughout Oklahoma. This larger deployment would allow for the monitoring of crustal deformation due to earthquakes and wastewater injection. Oklahoma has experienced a large increase in seismicity since 2009. Several large M > 5 events, including Prague, 2011, Fairview, 2016, Pawnee 2016, and most recently Cushing, 2016, have resulted in damage to homes and concern for critical infrastructure. The recent increase in earthquakes has been attributed to wastewater injection, as part of decades of hydrocarbon production. Injection of wastewater occurs in shallow sedimentary sequences whereas the most damaging earthquakes occur in the igneous basement. This project will significantly improve our understanding of the properties and state of faults and the igneous crust. Post-earthquake deformation, related to the relaxation of the crust, will allow investigators to more accurately determine fault dimensions and properties as well as any residual deformation caused by wastewater injection. 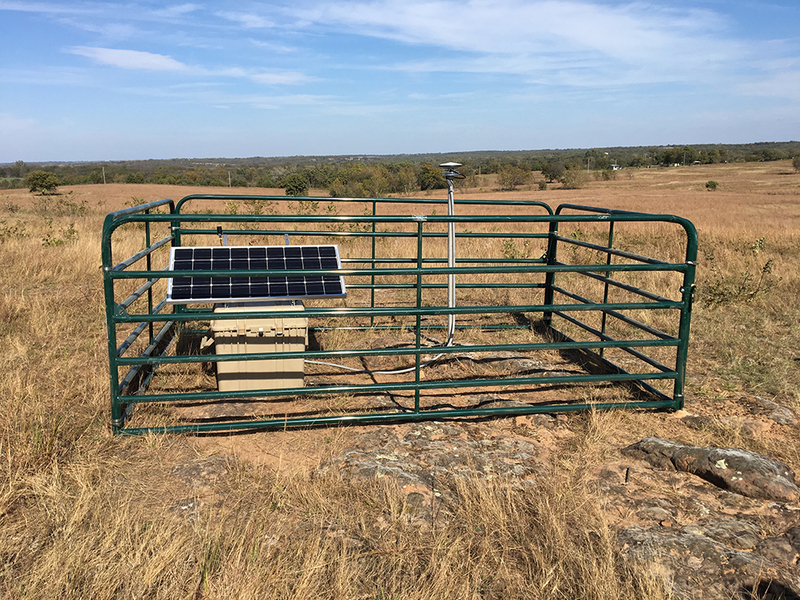 The GPS deployment around Pawnee is part of a larger effort by OU and the OGS to better characterize the igneous crust in areas of injections. 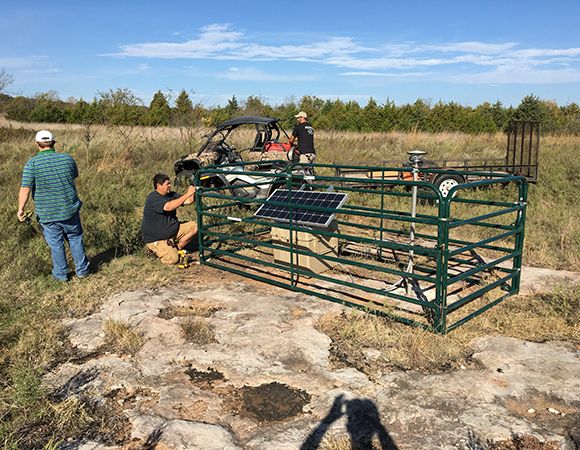 Ongoing work includes deployment of seismometers to accurately record aftershocks, a future active source seismic experiment to better define the fault, and rock mechanics experiments on basement rock from Pawnee and Osage counties. 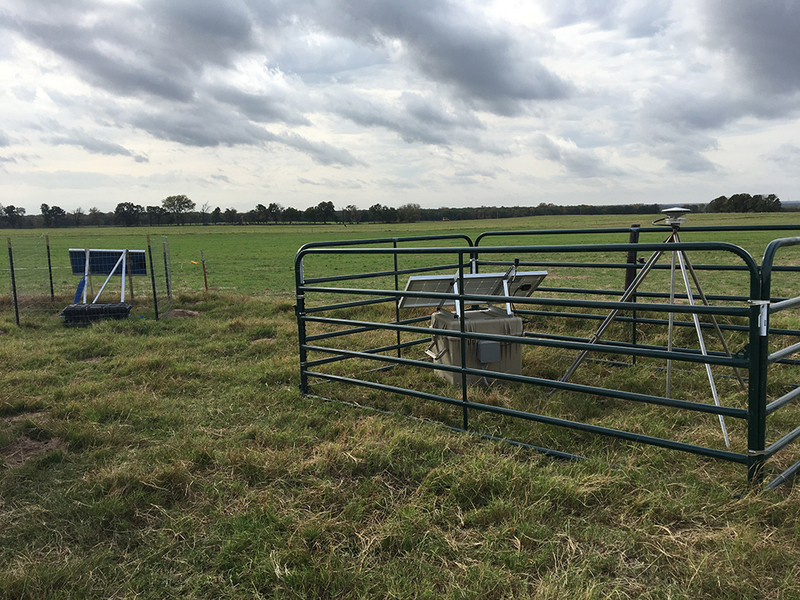 The goal of this work is to better understand the conditions leading to earthquakes throughout Oklahoma with the hope of mitigating seismic hazard and damage. The deformation rate is highest during and directly after the earthquake and then decreases with time, and depends in part on the rate of aftershock activity. 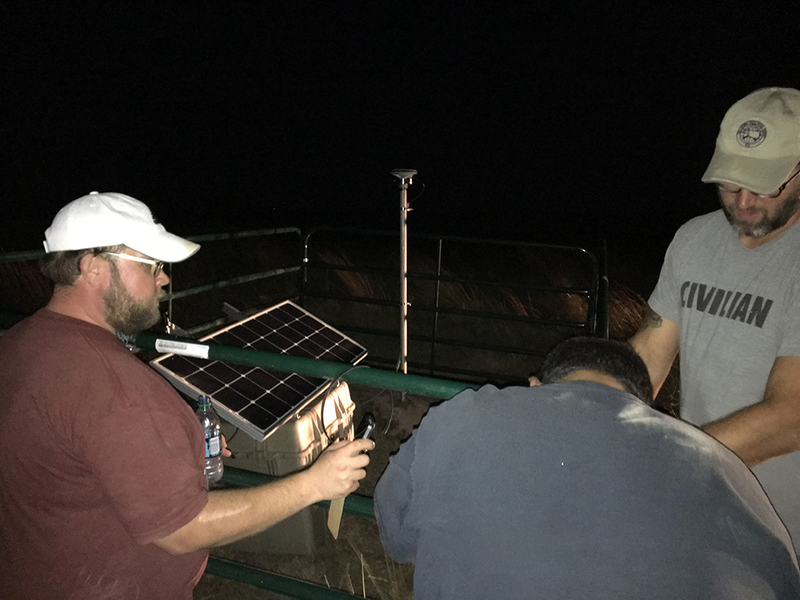 Getting GPS stations in place quickly enough to record the post-earthquake deformation signal was a priority, addressed with quick action from the investigators and UNAVCO. 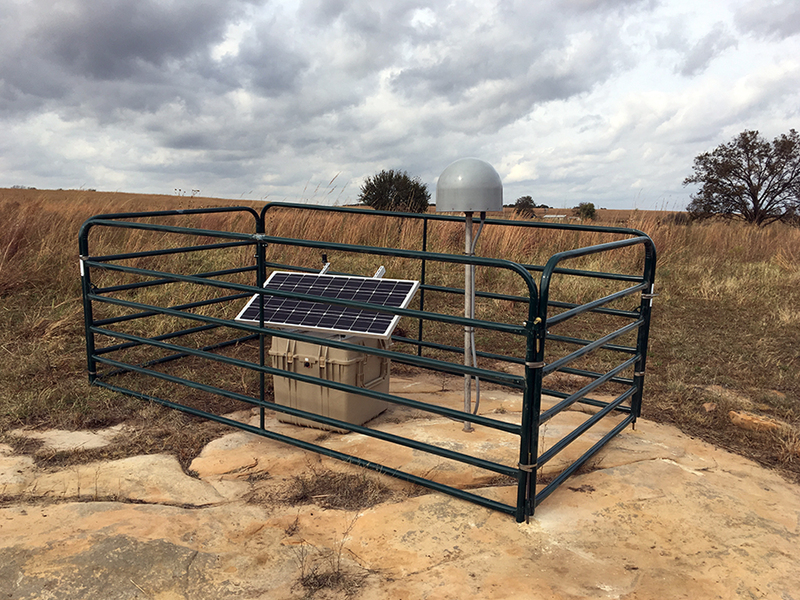 This project helped train investigators at OU and OGS who will be involved in future Oklahoma GPS deployments. 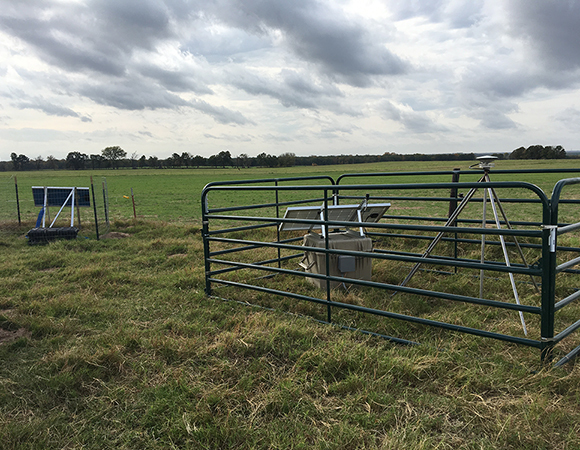 Also, as site placement occurred in the direct vicinity of the Sooner Lake fault, it put in contact community members who experienced the worst affects of the earthquake and scientists hoping to learn from it and mitigate future events. The contact can only be described as a positive experience for both sides.